The FBI has done a poor job with an anti-terrorism law that permits unprecedented levels of domestic surveillance, the Senate Judiciary Committee said Tuesday. "The lack of professionalism in applying the law has been scandalous," said Sen. Arlen Specter, R-Pa., who wrote the committee report with Sens. Patrick Leahy, D-Vt., and Charles Grassley, R-Iowa. 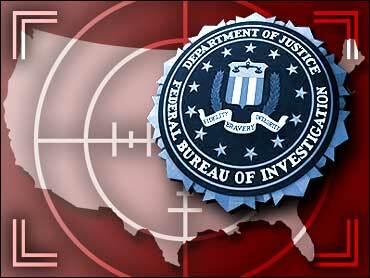 "The real question is if the FBI is capable of carrying out a counterintelligence effort," Specter said. The report contended that the FBI and the Justice Department were guilty of excessive secrecy, inadequate training, weak information analysis and the stifling of internal dissent in using the Foreign Intelligence Surveillance Act, a key tool in the war on terrorism. The report focused on the case of Zacarias Moussaoui, the only person accused in the United States of conspiring with the Sept. 11, 2001, hijackers. It details how FBI headquarters thwarted efforts by agents in Minneapolis to obtain a FISA warrant to search Moussaoui's laptop computer and belongings before the attack. Grassley said closed Senate hearings on the Moussaoui case revealed that two supervisors who handled the case did not understand the basic elements of FISA, and a senior FBI attorney could not provide the legal definition of "probable cause," an element needed to obtain a FISA warrant. "The FBI's difficulties in properly analyzing and disseminating information in its possession caused it not to seek FISA warrants that it should have sought," the report concluded. There was no immediate comment on the report from the FBI. The 1978 FISA law was enacted during the Cold War to allow investigators to obtain secret warrants to spy on foreign agents. It was expanded after the Sept. 11 attacks by the USA Patriot Act, giving law enforcement greater powers to secretly investigate terrorist suspects. The report was issued as the U.S. District Court in Portland, Ore., heard arguments in one of the first legal challenges to those expanded spying powers. Defense attorneys for five people accused of conspiring to help al-Qaida forces fight U.S. troops in Afghanistan plan to challenge evidence collected under secret FISA warrants. Leahy said the report was the first comprehensive congressional oversight of the FBI in decades and "demonstrates the pressing need for reform in the FBI." He said he was joining Grassley and Specter in introducing the "Domestic Surveillance Oversight Act," a measure under which Congress would oversee FBI surveillance of Americans and government surveillance of public libraries. It also would check on FISA's use in criminal cases and disclose the secret rules of the FISA court to Congress.